SUMMER IS COMING - THE FORECAST FOR MOST PARTS OF AUSTRALIA IS A LONG HOT AND DRIER THAN NORMAL SUMMER - BEACH SHADE , CHAIRS AND ACCESSORIES MAKE EXCELLENT CHRISTMAS PRESENTS FOR THE BEACH GOER WE OFFER 10% OFF OUR ALREADY REDUCED PRICES ON CHAIRS FOR TWO OR MORE OF THE SAME STYL ... More! Check out our updated online store/ website - 20 new items for Summer 2017/8 ! including 11 new umbrellas, new bags, new towels, Sombrillas a beach windbreak -plus all our best sellers - all in stock for immediate delivery : www.beachkit.com.au ... More! We have the perfect Christmas Gifts for the beach goer and by the way the weather has been lately we are in for a long hot Summer ! Beach Umbrellas, Beach Chairs , XL beach Towels/Rugs, Beach bags / totes and more …. all great Christmas Presents Please note our order cut off tim ... More! A GREAT CHOICE OF CHRISTMAS PRESENTS FROM BEACHKIT - BEST RANGE OF BEACH UMBRELLAS -from $22.50 - BEACH BAGS AND TOTES from $29.95 - XL BEACH TOWELS/BLANKETS/TURKISH TOWELS from $39.95- THE BEST QUALITY BEACH /CONCERT CHAIRS AND LOUNGERS - from USA world leaders RIO BRANDS and OSTRICH ... More! 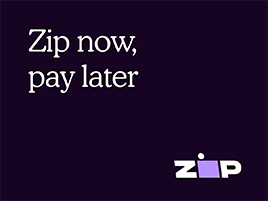 To celebrate a new payment method ZIP PAY on our sites Our once a year SALE - for 24 HOURS ONLY via Click Frenzy is happening from 7PM ( ESDST) - Tuesday 15th November 2016 There are genuine discounts up to 55% off RRP on our two websites BEACHKIT.COM.AU 8 sele ... More! 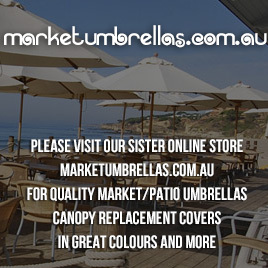 FATHERS DAY GIFT IDEAS - We have some great gift ideas for your Dad - Beach Umbrellas, Market Umbrellas , Beach Shades , Beach Chairs and Loungers, Towels, Gumbies Thongs and More @ www.beachkit.com.au as well as our other online store: www.marketumbrellas.com.au ... More! - Last 35 days of Summer Sale on now- ACT NOW BEFORE LOOMING PRICE RISE 1ST MARCH 2016. For Australia's best quality and selection of Beach Chairs/Loungers - they are now on SALE - 10% off if you buy 2 or more( same style and colour) and a huge 20% off if you buy 6 Ostrich Low Sa ... More! Stunning Hot Sunny Summer weather is forecasted this weekend and next week - right around the country. Protect you skin at the beach - jump under an Umbrella, Beach Shade or Tent. Relax at the beach by sitting on a quality chair or lo ... More! Now Christmas is over - time to hit the Beach! We are open now ( 24/7 online ) and shipping next from Tuesday 29th December -many locations 1-2 days delivery time For Australia's best quality and selection of Beach Chairs/Loungers - they are on SALE ... More! Our once a year SALE - for 24 HOURS ONLY via Click Frenzy is happening from 7PM ( ESDST) TONIGHT - Tuesday 16th November 2015 There are genuine discounts on our three websites BEACHKIT.COM.AU MARKETUMBRELLAS.COM.AU GUMBIES.COM.AU To access same please go to CLICK FRENZY WEBS ... More! CHECK OUT `THE LIVING ROOM` - ON CHANNEL TEN THIS FRIDAY 9TH OCTOBER @ 7.30PM OR REPLAY ON TEN PLAY - WE HAVE OUR OSTRICH CHAISE LOUNGER ON THE HOT OR NOT SECTION OF THE SHOW HOPEFULLY IT IS VOTED HOT ! AFTER A BEAUTIFUL HOT SUNNY LONG WEEKEND IN MOST PARTS OF A ... More! It seem the planets have aligned and the super moon has done wonder with prefect beach weather forecasted for the 2015 October long weekend in South East QLD, NSW, Victoria and South Australia. Enjoy the beach - however stay protected from the harmful rays of the sun- use UPF 50+ SUNSCREEN , sit und ... More! Great news Gumbies 1000 miler thong ( or Jandal if you are from NZ) is now in stock in 11 great colours - order now and get free shipping for 2 or more pairs ! ... More! Again Beachkit and our sister online store: marketumbrellas.com.au are teaming up with Click Frenzy: clickfrenzy.com.au for a crazy 24 hour sale on selected items from 7pm Tuesday 18th November 2014. Jump on board then from some exclusive once a year only super specials ... More! Summer 2014/2015 is certainly here with great early warm weather .Here at Beachkit we have been smashing sales budgets due to the warmer early weather and have all styles in all colour ways still available , however some styles are getting very low so order now to avoid disappointment! We have a hug ... More! 20 day Sale, 20% off 2+ Chairs Hurry finishes 09/02/2014, or when sold out . We rather move stock than store over Winter. Like all importers prices will be rising for Summer 2014/2015 due to collapse of the A$. Price discounts when you make your purchase of any 2 or more chairs.see our websit ... More! Hard to find Beach Windbreaks are now available at beachkit.com.au . These quality windbreaks are made from heavy cotton stripe fabric and thick wooden dowel poles - comes in compact bag for easy travel to the beach . Now at the beach you can protect you and your family from the wind and stake ... More! If you are planning to go to the beach next summer, you should definitely bring a portable compact travel beach umbrella with you. There are so many advantages that you can get from a portable compact travel beach umbrella.For one, it will protect you from the elements. For another, its size can m ... More! Hula Raffia Thatch beach umbrellas and shade umbrellas give you the feel of the islands at home or at the beach . Beachkit is importing new for sumer 2013/2014 a Hula Raffia thatch beach umbrella and shade umbrella . 230cm wide is a huge shade plate - UPF Rated 50+ with wind vented top is sure to be ... More! Have you seen or noticed Beachkit Beach Umbrellas and Shade Umbrellas on recent TV shows: Offspring and Home and Away .Also have you spotted some extra large two tone umbrellas in The Great Gatsby ... More! Please check out the new colours of Hollie and Harrie Beach Shades/ Sombillas at www.beachkit.com.au - you will stand out from the crowd on the beach this season with these new colours. Beach shades / Sombrillas will help you save your skin from the harmful sun. ... More! There are plenty of new Beach Umbrellas and Shade Umbrellas for sale on beachkit.com.au - check out our new range of umbrellas- our offer has more than doubled- you are bound to find a beach umbrella or shade umbrella suitable for your needs . We have small personal umbrellas right through to huge 2 ... More! There are plenty of new Beach Chairs for sale on beachkit.com.au - check out our new range of chairs- our offer has more than doubled- you are bound to find a beach chair suitable for your needs . We have low sand chairs right through to huge loungers- a lot of our Beach Chairs can be used around th ... More! Beachkit has just been appointed the sole and exclusive distributor for the famous Ostrich brand Chairs from USA in Australia . Famous for face down technology - cut out for face down comfort - Ostrich Chairs are very different from anything on the market- We shall be stocking the Low Sand/Concert C ... More! Summer has finally arrived with all major capital cities of Australia expecting Hot Sunny weather this weekend. There will be plenty of Beach Umbrellas, beach chairs and Beach tents on the nations beaches , check our Australia's premier beach gear site to get the best products: www.beachkit.com.au ... More! Here at Beachkit we are grateful Winter is finally over - bring on Summer . Beach Umbrellas, beach chairs and Beach Tents will be soon appearing on many Australian Beaches ... More! We have had a great start to the early Spring in Queensland - plenty of blue sunny skies and the beaches have started to see plenty of people. We think the weather patterns are back to the old days which indicates a long hot Summer ahead. Don't forget to take a beach umbrella and beach chairs to the ... More! We welcome our new supply partner of products :Hollie and Harrie with their excellent range of Sombrillas . These beach shades are like the old Moana Beach Shades of past just updated with light weight aluminium poles and cross bars with modern designer prints -to ensure you stand out at the beach. ... More! Are we heading for an early Summer? With record rains and colder than normal and an early start to Winter this year combined with slightly warmer temps in July are we heading for an Early Summer? We are Beachkit hope so, then everyone can enjoy a long hot Summer on the beach using Beach Umbrellas , Beach Tents and Beach Chairs . ... More! Here at Beachkit we only get one chance to getaway in our quested month- July. Thus on a recent trip to Broome we note Summer is currently in full swing with Cable Beach packed with locals and holiday makers alike. We spotted plenty of singles, couples and families sitting under beach umbrellas on b ... More! Beach tents and Beach Shelters should be used at the beach to shade you from the harmful UV rays. Shade is so important to protect your skin from being burnt , which in turn can cause skin cancers and early aging .We recommend if you do go into the sun you apply good quality sunscreen . Beach tents ... More! Beach chairs and concert chairs should be used so you can enjoy your beach or park outing even more. Low to Medium height Beach chairs can be used at the beach , park or at a concert or event. It is important when choosing a beach chair or concert chair you purchase a quality product made out of alu ... More! Beach umbrellas should be used at the beach to shade you from the harmful UV rays. Shade is so important to protect your skin from being burnt , which in turn can cause skin cancers and early aging .We recommend if you do go into the sun you apply good quality sunscreen . Beach umbrellas provi ... More! A trip to the beach on your weekend or holidays can be a great idea. However, all that fun and frolicking under the sun, would not be complete without a beach umbrella. As soon as you plan a trip to the beach, the beach umbrella should be on the list of top priorities. Beach umbrellas ... More! With the Summer holiday season starting this week Australians should pack their beachkit and head to the beach . The Beach is the ideal place to relax and cool off over the Summer however you should take a Beach Umbrella or Tent to shade yourself from the harmful UV rays. Why not relax in comfort on ... More! Our warehouse and staff have been so busy getting out orders, sorry we have no posted a blog for some time- Thank you very much to the 1000's of customers who have bought products from Beachkit. Many Beach Umbrellas, Shade Umbrellas , Beach Chairs and Beach Tents will be seen on the Australian Beach ... More! If you haven't decided what to get your family for Christmas this year, why not consider giving each and every one of them beach chairs? With beach chairs as your beach gifts for Christmas, you are creating an opportunity for you and your family to picnic on the beach in style. More importantly, g ... More! We woke up to today noticing on the weather report sunny, warm weather right around Australia. Hopefully Summer has finally hit and Australians will be able to get out of the house and enjoy the beach! When you at the beach it is most important to protect yourself from the hash Australia ... More! Don't worry about the Greek debt crisis enjoy the beach and take in the scenery - sit on some great beach chairs and sit under a huge beach umbrella and enjoy the simple things in life in style! Check out great Beach Gear at Beachkit.com.au ... More! Generally a trip to the beach is a free experience- except maybe some car parking fees- so once you are there why not enjoy yourself with a large Beach Umbrella and comfy Beach Chairs - check out the product range at beachkit.com.au ... More! Thank you to the hundreds of customers who have bought all our products including Beach and Shade Umbrellas, Beach Folding Chairs and Beach Anchors/Holders. We look forward to a busy Summer season ahead ... More! BEACHKIT OPENS FOR BUSINESS- A NEW ONLINE RETAILER/WHOLESALER OF BEACH GOODS. Introducing new products an ... More! The first day of Spring- goodbye Winter bring on Summer. Soon the beaches will be packed with people under their Beach Umbrellas or Beach Tents and Shelters. They will be sitting on their towels or Beach Folding Chairs - all of these products can easily be found at Beachkit.com.au ... More! Our warehouse has now received for the first time in Australia the Earthworm Ground Umbrella Holder/Anchor in two sizes . Now you can go to the park or use in your back yard your Beach or Shade Umbrella with these holders. They easily screw into the ground and lock the Umbrella in place. Beachkit Be ... More! Over the last few days Victoria and South Australia have experienced usually warm weather for August- Even on the weekend there were plenty of beach goers and many Beach Umbrellas, Beach Chairs and Beach Tents were spotted being used on Victorian beaches- Maybe Winter is finished and bring on ... More! Beachkit check out is now open for business 24 hours a day 365 days of the year - we aim to ship your goods within 24 hours of the next business day of you placing your order . Beachkit beach and shade umbrellas in solids colours, bright stripes and bold alternative panels and Beachkit beach c ... More! The best beach chairs in the world have now arrived in the Beachkit warehouse. Multi tilt features , hardwood arms , over sized some with pockets, drink holders , aluminium non rust frames are some of the features. The Wearever Backpak beach chair is our biggest seller and comes in a number of ... More! If you are planning to go to the beach this summer, you should definitely bring a portable compact travel beach umbrella with you. There are so many advantages that you can get from a portable compact travel beach umbrella.For one, it will protect you from the elements. For another, its size can ... More! Our retail online store will be open for business on 15th August. We are taking orders now to ensure early shipping of beach umbrellas, beach folding chairs and more. From 15th August you can use your credit card to buy directly on line the best beach umbrellas , beach chairs and more. We look forwa ... More! Broome's famous Cable Beach has plenty of beach goers using beach umbrellas and beach folding chairs to enjoy their day.The weather over the last 2 weeks has been perfect for the beach. Some beach tents have also been spotted on the beach. With many travelers in town a compact travel beach umbrella ... More! This week July 11-17 2011 Port Douglas' famous Four Mile Beach was full of people enjoying the beach . There were so many beach goers sitting under beach umbrellas,lying on beach towels and swimming. The weather was a perfect 25/26 degrees sunny with light winds on some days ... More! After an idea back in 2010 Beachkit is now receiving many orders and stock is nearly here! Beachkit beach umbrellas , beach folding chairs and beach tents and more will soon be hitting the Australia beaches for the first time. We believe we have sourced the best products direct from int ... More!